I'm not sure if I'm using preview correctly - just tried it and couldn't get back to the post I was working on. After you've clicked on 'Preview' you can do any further editing directly in the preview screen, then click on 'Create Post' to finalise it. In fact you can click on 'Preview' first and write your complete post in the preview screen, but I don't recommend this method if you're quoting another post. Recent Posts seems to cover 15 posts at the moment. Can the number be increased ? I know that over the years we switched from 10 to 30 and then 50 which can cover several days if there is not much going on. In the days after a concert, i am sure there were times when we had over 50 posts in one day. I used the 'last 50 posts' for many years but after a while, when they introduced the "Hot Topics" button (same thing as "Recently Updated Threads" in the Forum Information & Statistics section), I decided to try that instead. It lists in reverse order of last post, the 30 (optionally more) recently active threads. It's then easy to glance down the list and click straight through to the last post of any thread and go back from there, if you are interested in it. Because it's easier to follow a discussion that way than using the old 'last 50', I always use it these days, and haven't used the 'last 50' for a couple of years. Otherwise, the "Recent Posts" link in the Forum Information & Statistics section of the forum Home page currently goes back for 67 pages of posts, far more than the last 50, I've just looked at some November posts using it! As Richard mentioned, to go back more than 15 posts, you currently need to click the page number buttons at the top of the Recent Posts list, and which should always remain visible. I do admit, I kinda like the bigger avatar space. I just took advantage of it to enlarge mine a wee bit. Looks great! 150x150 now I combined my personal avatar facewith my uploaded avatar...playfully looks like I'm in front of the State Theatre again! It is surprising how much clearer it is now. It was difficult to make out her features before. Much improved. I didn't do anything with mine, but somehow it automatically became a little larger and clearer. Joe, that is horrible!!! I loved your avatar. My home town used to have 2 or 3 theaters lit up like that at night close to each other on the Main Street. They are now long, long gone. 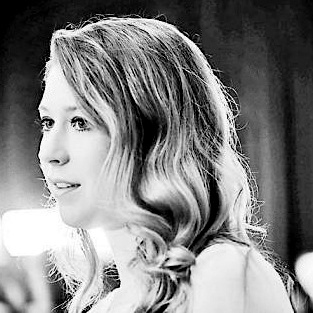 Yours was so nice to see, and with Hayley Westenra no less. Grant, I agree, the new smilies are kind of weird. Especially this one. Yes, Joe, the time stamps are much better, thank you! That actually makes a huge difference in how well I can see what I want to see now. And I agree, the avatars are all looking extra nice! I will work out a color compromise, OK? I don't want you straining your eyes. Edit: how does the darker color look for you, Libby? Just a reminder that large images now resize automatically to fit your browser window, so you no longer need to specify the width and height. If you use the old method to reduce them to 800 pixels wide, you may find the images get cut off on the right hand side, which happened in this post, which I've corrected. More than four years in development, this powerful new forum software includes many new features that emphasize ease of use and greater interaction. Live Search capabilities that allow users to see the results of their search automatically updated live on the screen. The ProBoards Global Login system allows users to access all their forums through a single account. Integrated Notifications help drive forum engagement by notifying users when they have been quoted, tagged, liked, or topics in which they have participated have been updated. The ProBoards Forum Dashboard allows users to efficiently keep tabs on everything at once from a single portal. They can receive new messages, notifications, and updates to discussions they have participated in across all forums of which they are a member. Enhanced moderator tools to let moderators manage their forum with fewer clicks. AJAX Pagination allows users to access content between pages without having to load a new page. A new Conversation system provides users the ability to send personal messages that group multiple people in a single conversation rather than a series of disconnected notes. WYSIWYG post editor simplifies forum posting, letting everyone edit their posts directly in a live preview. A redesigned Admin Panel provides a multitude of features, including new theme customization options that are simple for new users, while remaining powerful for experienced developers. A new mobile experience that puts the full power of ProBoards Version 5 in the palm of your hand. I like the update! Just two things: I think peoples' banners are getting cut off, and my signature smiley is gone. But, overall, I like it! Only dropped in to read and comment on wedding post. Wrong time to explore but can't leave without making a comment. Well Ione. A lot of hidden work and it all seems up to the required standard to match Hayley's standard. When back from honeymoon doubtless she will look and pass comment which I am sure will be pleased gratitude. Much appreciated! I'm really proud of this Forum, supported by wonderful members, all of whom to which I'm truly grateful.